Adult Family Care (AFC) is a MassHealth-funded program for individuals, 16-years-old and over, eligible for MassHealth Standard or MassHealth CommonHealth, who have a medical or mental condition and require daily cueing and supervision or physical assistance with at least one activity of daily living (ADL), such as bathing, dressing, eating, ambulating or toileting from an AFC caregiver. In addition to providing personal care, an AFC caregiver must live with the individual and provide or arrange for meals, transportation, companionship, and ordinary housework. The caregiver also manages medical appointments and medications, if needed. Caregivers receive a tax-free stipend for the care they provide, which ranges from $9,000 - $18,000 annually, depending on the level of care necessary. They also receive on-going support from a registered nurse and a care manager. 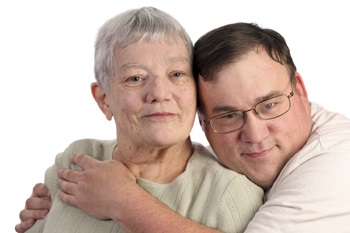 The caregiver may be a friend, parent or other relative, but may not be the spouse or legal guardian. All caregivers must pass a Criminal Offender Record Information (CORI) check and a TB screening. Must be eligible for MassHealth Standard or Common Health (or able to pay privately). Are required to have a yearly physical. The caregiver receives ongoing education, advocacy, and healthcare oversight. Click here to view and print Caregiver Log.